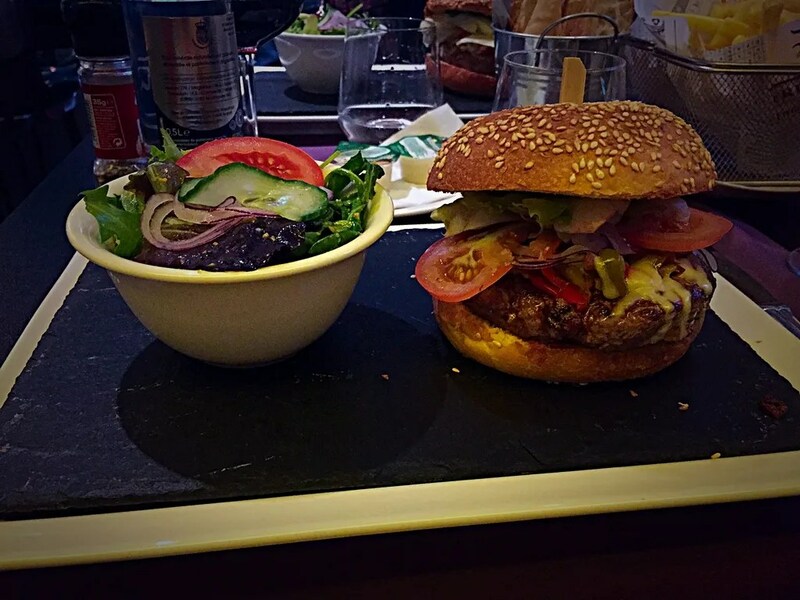 Brasserie Herve, Luxembourg – a pleasant discovery! 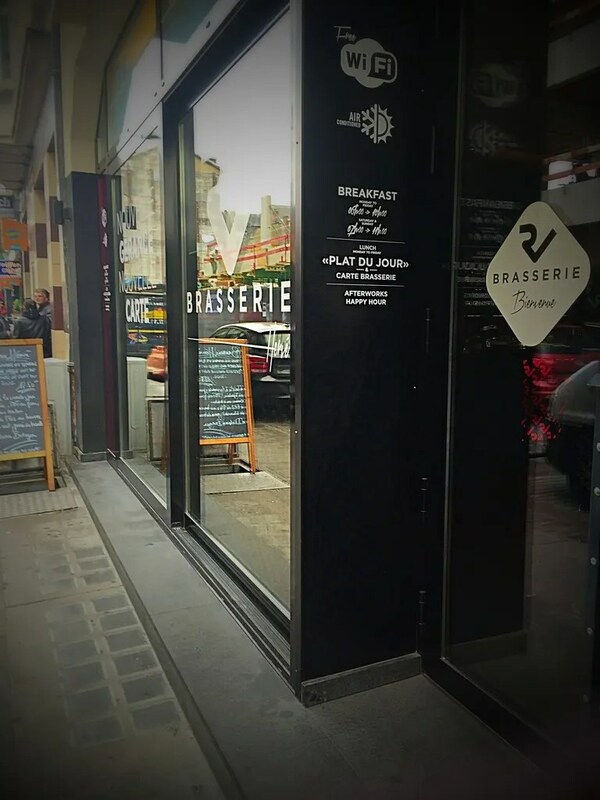 In my last posts of the series “What to do” regarding the Station and Bonnevoie area, I was complaining the lack of a refined and fashion place to dine. 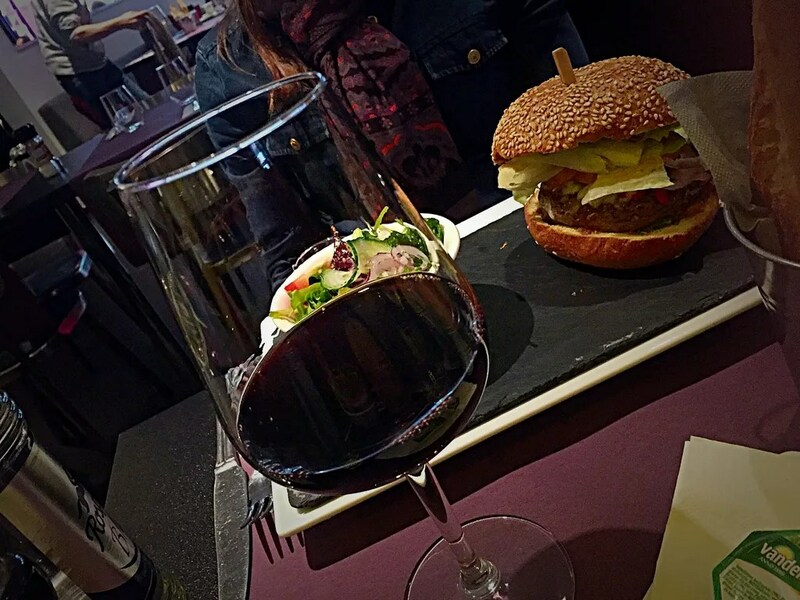 After learning about its change of management, I decided to head with Patricia to Brasserie Herve for a relaxed lunch. 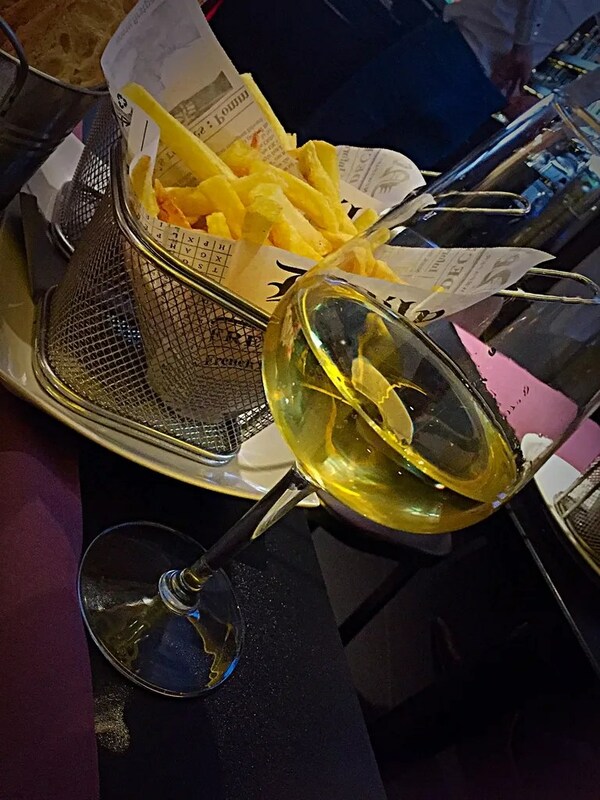 Brasserie Herve is, unluckily, located in a not very fashionable area, just few steps from Luxembourg Main Station. Indeed, since its opening, I was attracted by the décor and the intimacy of the location. Unfortunately, previous management seems not to be able to use the potential of the place. On Tuesday, we had indeed an amazing lunch. 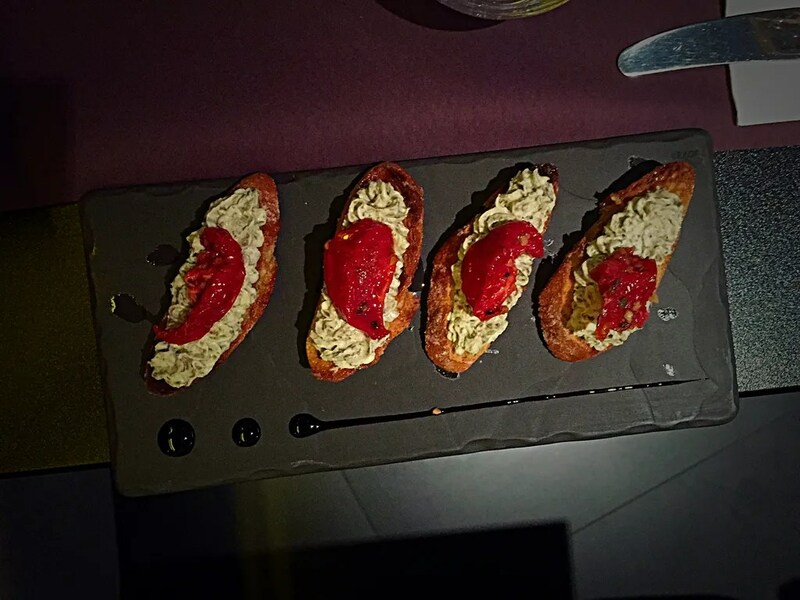 We were welcome by a very kind and professional waiter speaking both English and French perfectly and we received a great amuse-bouche prepared with truffle cream and dried tomatoes. This was just an initial indicator that our experience was going to be exceptional. 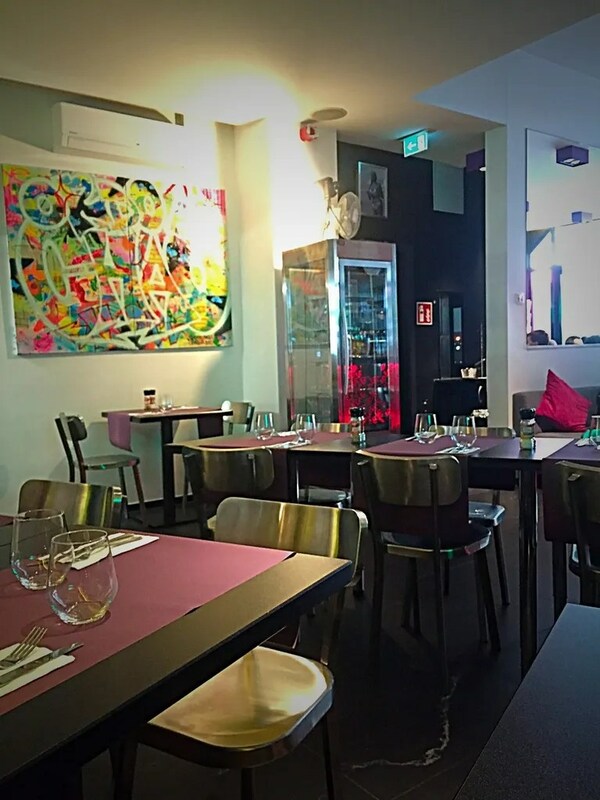 The restaurant, for lunch, has a menu du jour selection (choice among 3 dishes) for 12.5 euro, plus chef suggestions between 9 and 16.5 euro plus “a la carte” menu. 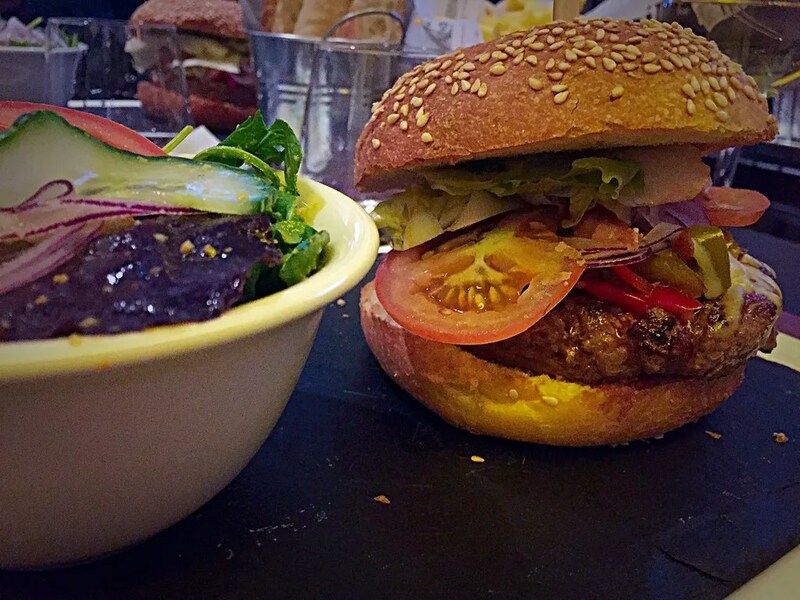 We were advised by the waiter to go for the “Italian burger”, prepared with sautéed peppers , pesto and beef meat. He was also available to explain in details other dishes on the list we were interested to – but at the end we follow his experience. We accompanied the lunch with two glasses of wine – again, the waiter made us try the wine, even if it was just the “home selection”, to be sure we were fine with it, before serving. These are the small little things most of the places are not taking care about and that, for me, are doing a big difference. After the pictures of our lunch, you will find as usual my impressions about this restaurant. Unbeatable ambience: around the station you cannot find such elegant and fashion place. Once you enter the front door, you can forget where you are, like you directly transported in a Manhattan fancy bar. Great food: everything we had on our table was exceptional. 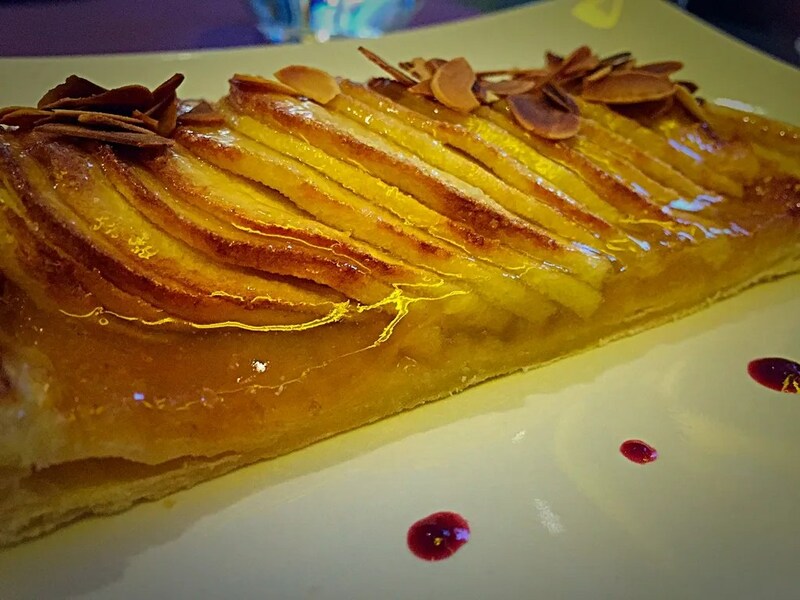 From the truffle amuse-bouche to the burgers to the apple pie served as dessert with the menu. You can definitely understand the quality of the materials is really important at Brasserie Herve, and I especially loved the truly amazing meat taste. 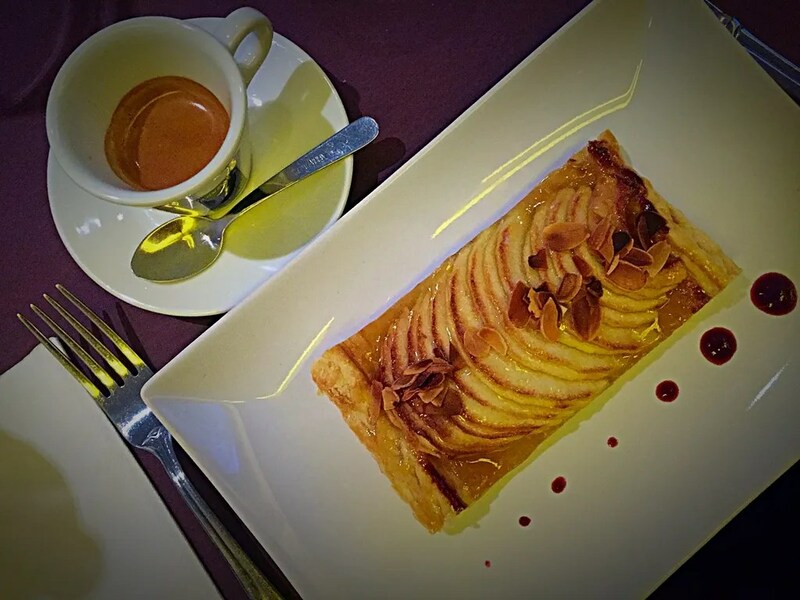 Quality/Price and Choices on the Menu: 12.5 euro for a Brasserie Herve menu du jour that includes an amuse-bouche and on Monday/Tuesday also a dessert is a very good deal for Luxembourg city and above all for this kind of restaurant. Just some weeks ago, I paid 18 euro for a pasta dish around the corner… and here you have meat, fish, veggie choices for all the tastes and for all the prices – so not only on budget, but also recommended If you want to spoil yourself. Authentic customer service: through my interviews of “Barefoot in Luxembourg meets people“, I realized that what most expats complain about in Luxembourg is the level of the service. At Brasserie Herve, it was clear they really care. We never had to ask, we were always served before and never bothered by the waiters. From bread, to water, to mayonnaise, everything was taken to the table on time. You might not be attracted by the surroundings, but this is definitely not restaurant’s fault. Indeed, I find refreshing to have a fashionable place to visit also in the station area, without the needs to find yourself each and every time walking past the same places in the city center. 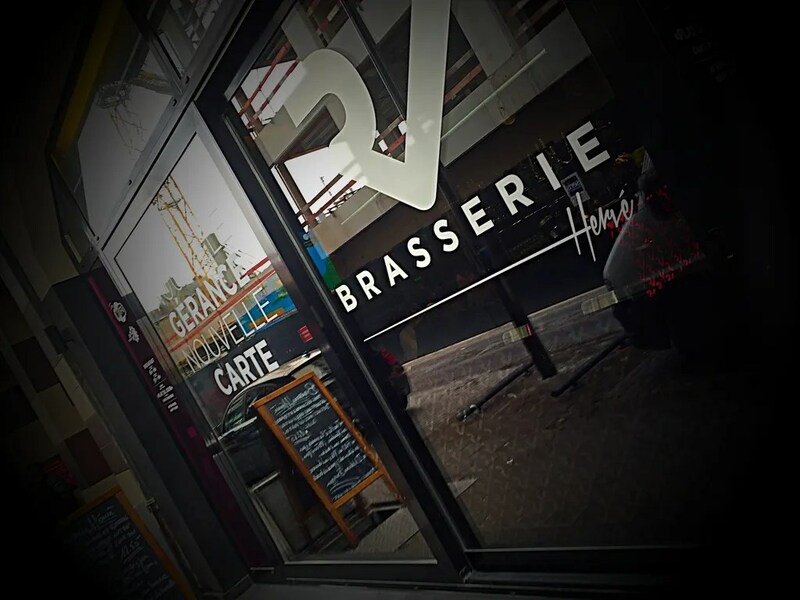 We had great time at Brasserie Herve – our lunch was delicious, the atmosphere is very modern and fashionable and the service was outstanding. 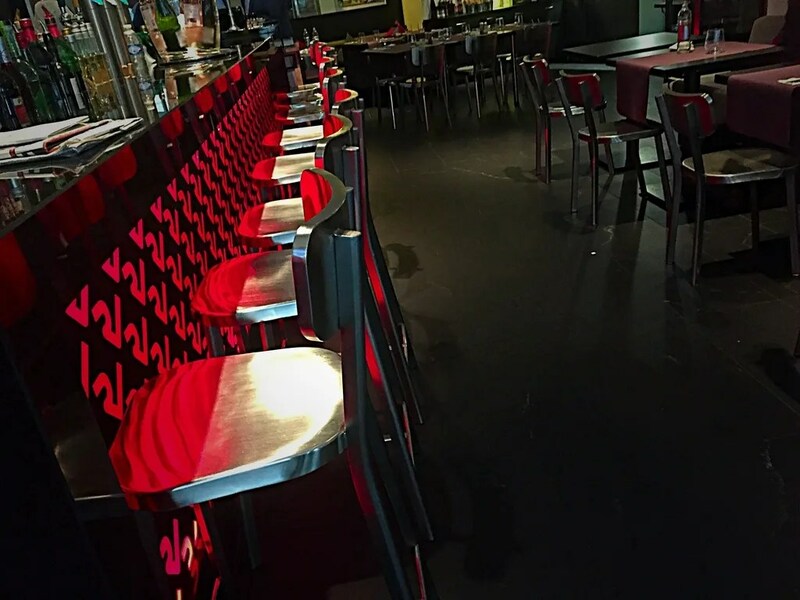 This is the perfect place for a lunch with your girlfriends before some shopping, for a relaxed happy hour with your colleagues during the week or a fancy business dinner after a day of meetings. We will definitely come back. Looks like a nice place, love those burgers!